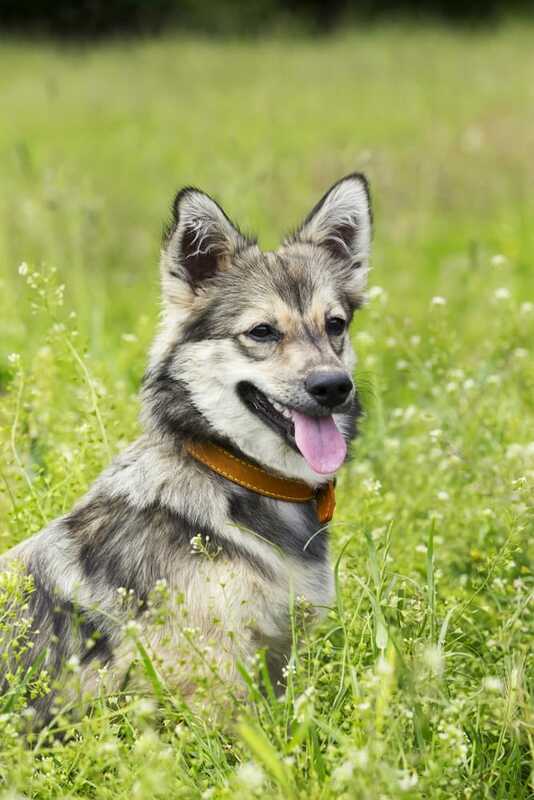 The Swedish Vallhund - What's So Special About This Dog Breed? The Swedish Vallhund – What’s So Special About This Dog Breed? 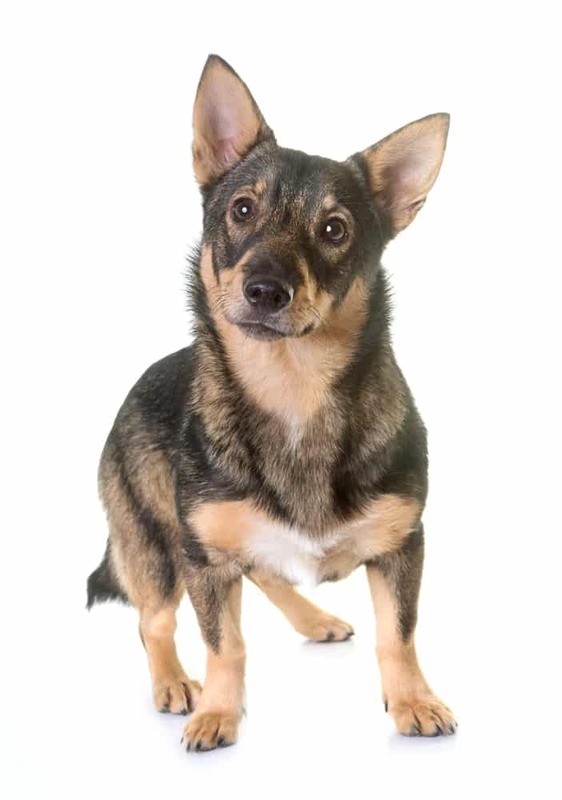 The Swedish Vallhund dog is a happy-go-lucky dog who has only recently gained popularity in the U.S. Here, we’re more familiar with his cousin, the Corgi. Ideally, with his activity level, the Swedish Vallhund would do well on a farm. However, if you keep him busy enough, he can also make a great pet. Something important to note about the Swedish Vallhund temperament is that it’s not for everyone. For one thing, he likes to bark. No one is immune, from the mail delivery person to the dog next door. For another, this is not the kind of dog you get if you’re lazy. He has a high energy level, and he will go out of his mind if not given a task to do. The Swedish Vallhund does well with the occasional brushing that gets right down to the skin. They also shed their undercoats twice a year. You may want to give them a bath at this time to help remove the excess hair. Shampoo and blow dry, then brush. Swedish Vallhunds only really need baths when they get dirty. Training a Swedish Vallhund is relatively easy. That’s because this is one of those breeds that has a strong desire to please you. The first thing you may want to work on with him is when it is okay to bark. Train him to bark when necessary, not at every leaf or blade of glass that moves. As with any breed, be firm and consistent. Try to use praise more than treats to prevent overeating and weight gain. Because the Swedish Vallhund is a smaller dog, he has a longer lifespan – about 12 to 15 years. Some common health concerns that can plague the breed include hip dysplasia and eye disease. Specifically, Swedish Vallhunds can suffer from retinopathy, which is hereditary and can lead to blindness. You also have to be on the lookout for obesity with this breed. Despite the exercise they get, it is rather easy for a Swedish Vallhund to become overweight. One way to combat this is to avoid giving your dog treats as rewards for training. You can also double-check that you are feeding him the recommended food and amount of food. Don’t let your dog graze. It’s not healthy, and it’s almost impossible to determine whether your dog is eating well or whether he’s slowed down because he’s sick. Whether you decide to buy a puppy, or you’re interested in a Swedish Vallhund adoption, you always need to do your research. When buying a puppy, a good breeder is more likely to lead to a good puppy. Research before you buy! You can use the breeder finder on the American Kennel Club’s website to find recommended breeders in your area. Avoid going through websites that promise to ship you the puppy. You never know what you are truly getting. Meeting the puppy – better yet, the litter – first is your best bet. On average, you should expect to pay between $700 and $900 for a Swedish Vallhund puppy. Of course, if you choose to adopt, those fees are drastically less. An average adoption should cost you about $150. This covers the cost of neutering and any outstanding shots the dog may need before being adopted. When it comes to adoption, sure everyone wants a brand new puppy. However, there are more adult dogs waiting for love, and everyone passes them over. 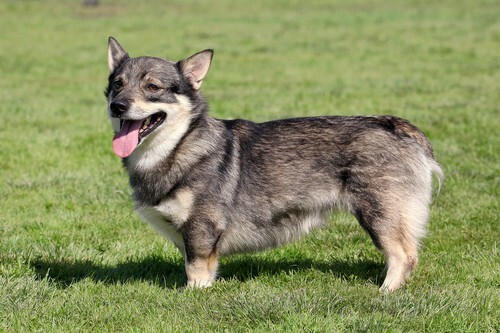 If you’re in the market for a Swedish Vallhund, consider adopting an adult dog. If you think you can handle it, adopting a senior is even better. Just be aware of the extra costs that can come from the medical care they require. Adopting an adult Swedish Vallhund has its perks. For one thing, adult dogs are more than likely housebroken, so that’s one less thing you’ll have to worry about. Though adopting a puppy means that you start with a clean slate. You don’t have to worry about breaking them of bad behaviors they may have learned from their former owners. You can tell a good Swedish Vallhund breeder by the certifications they carry. If they have proof that the dog has been checked and cleared for conditions that plague his breed, then that breeder has done their homework. When you buy a dog from a breeder you don’t know, a puppy mill, or any other disreputable source, you have no idea what you’re getting. The dog may be sick or aggressive. There’s no way to know until it’s too late. Make sure you do your research before you buy a Swedish Vallhund – especially if you’re buying a more expensive puppy. If you’re in the market for your first dog, then the Swedish Vallhund is probably not the best choice. His energy level requires more training, socializing, and exercise than a first-time dog owner may be able to handle. On average, the Swedish Vallhund is a healthy dog, living about 12 to 15 years.